Psoriasis is a chronic condition of the skin characterized by too quick growth of skin cells thereby resulting in the appearance of white, thick, red or slivery patches or plaques on skin. The size of the plaques may range in size from small to large. The most affected areas are the scalp, elbows, knees, feet, hands or lower back. • According to health experts, psoriasis results from overactive immune system resulting in inflammation and flaking of the skin. • Psoriasis tends to run in families. 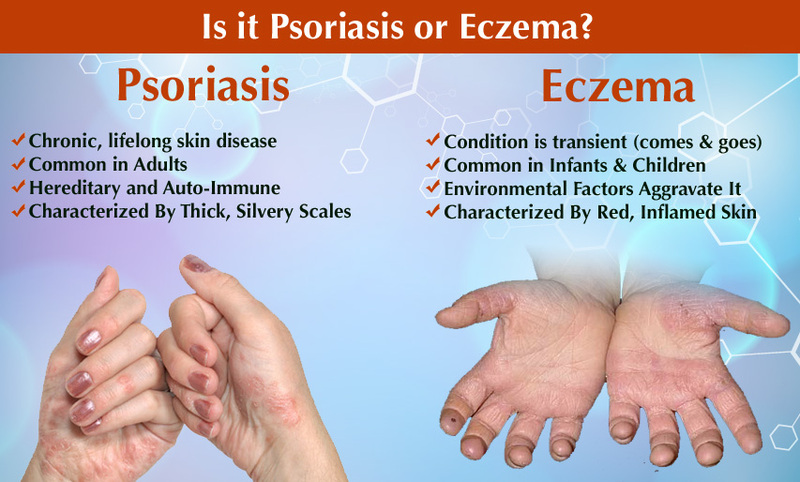 • People suffering from psoriasis may get flare ups from certain factors such as a dry and cold weather, stress, infection and dry skin and taking some medicines. • Psoriasis commonly occurs in adults. 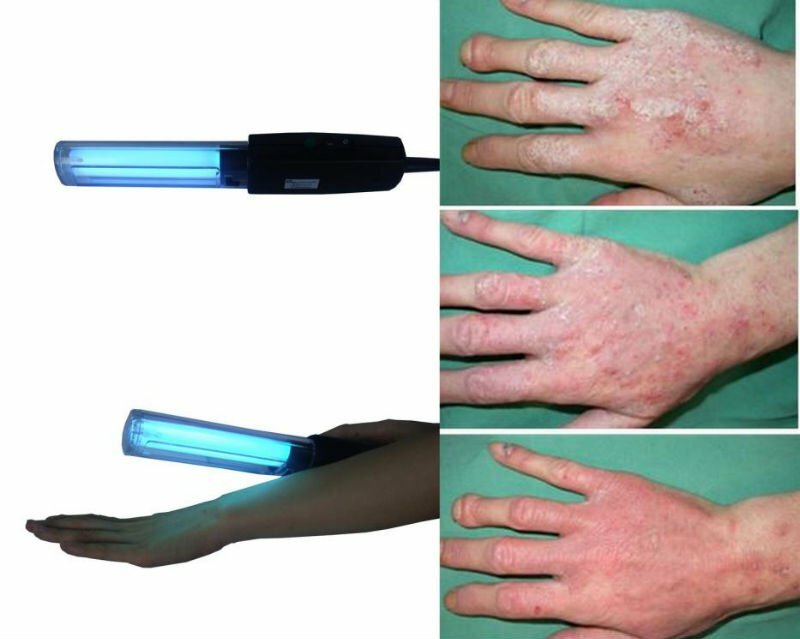 • Psoriasis is not a contagious disease. 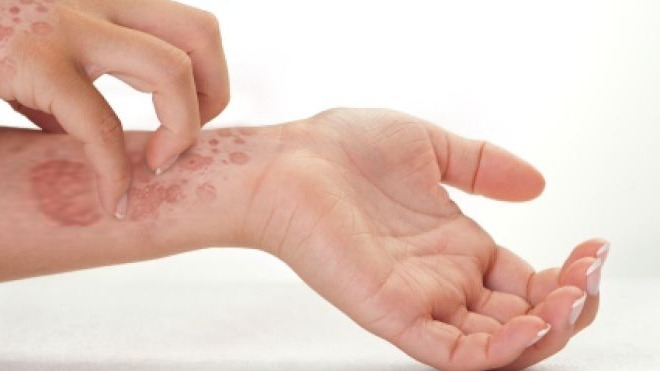 Symptoms of Psoriasis can range from mild to severe. In mild psoriasis, there are small areas of rash. In moderate and severe psoriasis, there is inflammation of skin along with raised reddish colored areas to which loose, slivery scales are attached. In severe psoriasis, the skin is tender and itchy and large areas of skin are affected. In some individuals psoriatic arthritis may be present which is characterized by painful, swollen and tender joints. A dermatologist or physician can diagnose psoriasis by just the appearance of your skin patches of psoriasis. There is no requirement of special tests to diagnose the condition. The symptoms of psoriasis may sometimes disappear or go in remission without taking any treatment, only to return or flare up again. Skin care is an important aspect of treatment of psoriasis along with other treatment methods such as shampoos, medicines and UV light recommended by your physician. Psoriasis is a chronic illness and may require treatment for the whole of your life. • Using lotions or creams to keep skin moist. • Short exposure to UV light or sunlight. • OTC medicines such as aloe vera may soothe the patches.